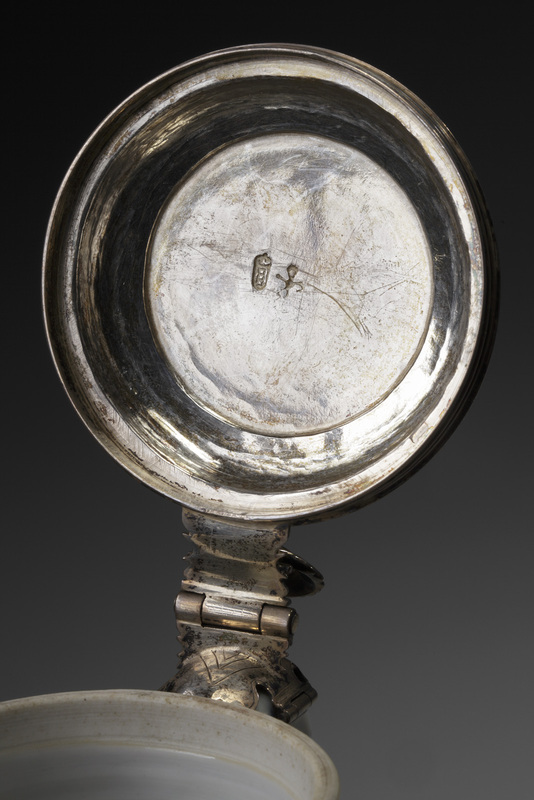 A Silver Mounted Milk Jug China, Kangxi period (1662 – 1722) Height: 17 cm. Silver mount: Amsterdam 18th century The wide neck is freely decorated with a flowering lotus above moulded panels with alternating decorations of flower sprays and “Long Elizas”. 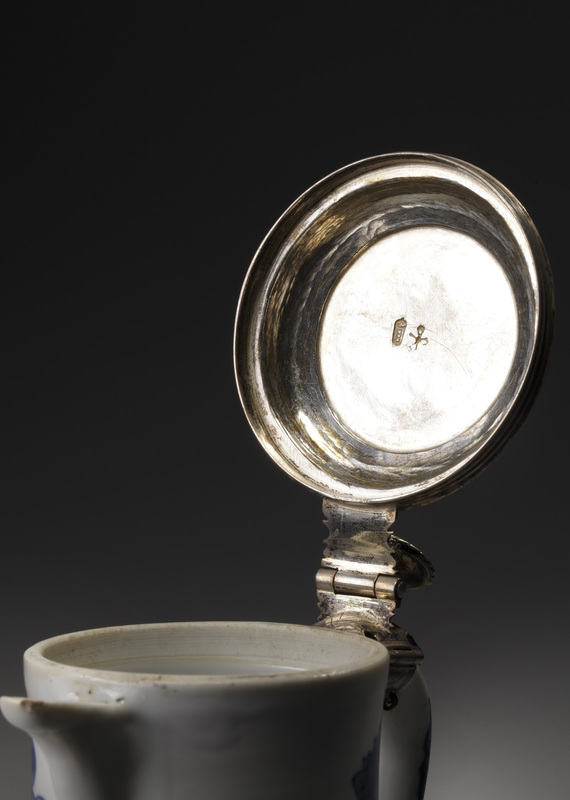 The silver mounted cover is 18th century and hallmarked Amsterdam to the inside of the cover. 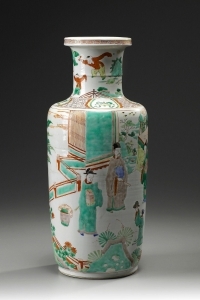 Nieuhof´s description of China, published in 1665, mentions that some Chinese used milk in their tea, though this was not customary in South China. 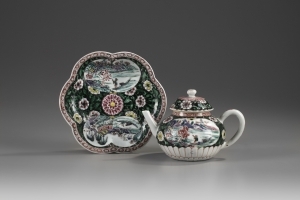 The trade in tea by the Dutch and English East India Companies was booming in by the late seventeenth century and tea was considered a very valuable commodity which could only be afforded by royalty and the high upper class. The leaves were left in the pot to stew, making a very strong tea with a high acidity. 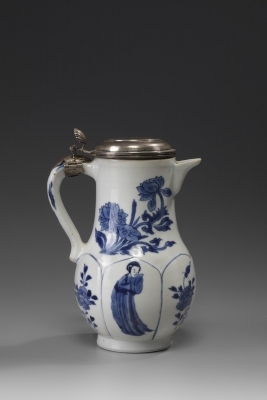 The French started drinking tea with milk and sugar, becoming common use around 1700 in Europe, leading to the special orders of porcelain milk jugs manufactured in China. Hereafter, no proper tea set was considered complete without a milk jug.